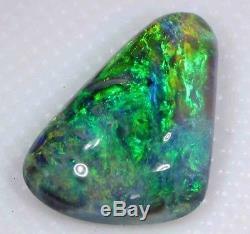 Beautiful Green 2.0 Carat Solid Lightning Black Opal. 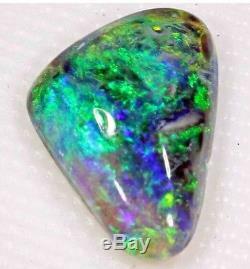 Natural Solid Black Opal from Lightning Ridge. Dimensions 11 X 8 X 3 mm. Multiple colours: Green, yellow and blue. 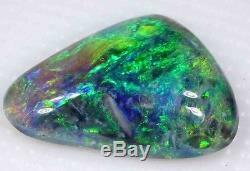 Natural, Solid Black Opal - NO Treatments. 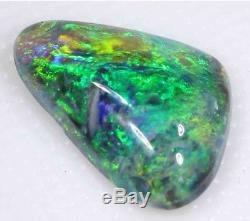 Opals require direct light to show the true colour, pattern and brilliance and are best viewed in direct sunlight (or alternatively halogen or incadescent light but not flourescent light). 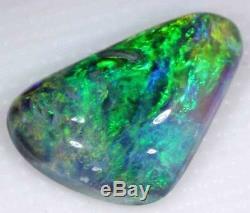 The better the grade and brightness of the stone, the less light is required to show the colour and brilliance. 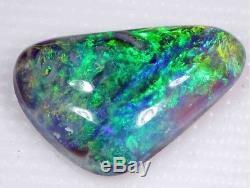 Please ensure that you check your opal in good direct light, as poor light may not show the true colour. 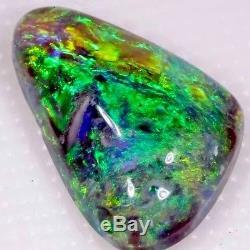 The item "Beautiful Green 2.0 Carat Solid Lightning Black Opal" is in sale since Wednesday, October 24, 2018. 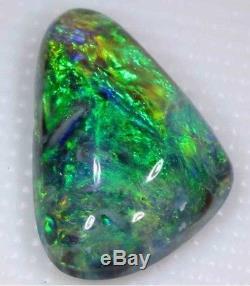 This item is in the category "Jewellery & Watches\Loose Diamonds & Gemstones\Loose Gemstones\Opal\Black Opals". The seller is "blues1968shane" and is located in Armadale, Victoria. This item can be shipped worldwide.